When the St. Louis Rams played the Cleveland Browns Saturday night, the worst happened as former Oklahoma quarterback Sam Bradford left the game in the first quarter with an injury to his left leg. Bradford had surgery on his knee previously when he tore his ACL in week 7 last season. Bradford took the hit to his knee from Browns defensive end Armonty Bryant, beating left tackle Jake Long, who is also returning from a torn ACL. Bradford walked off of the field under his own power. An MRI will be done to determine exactly what Bradford's injury currently is, but so far it appears that he won't miss the season. Although that too is speculation, but it appears as though the Rams have dodged a bullet and Bradford doesn't have any ACL damage. Here's a statement that Jeff Fisher made about Bradford. 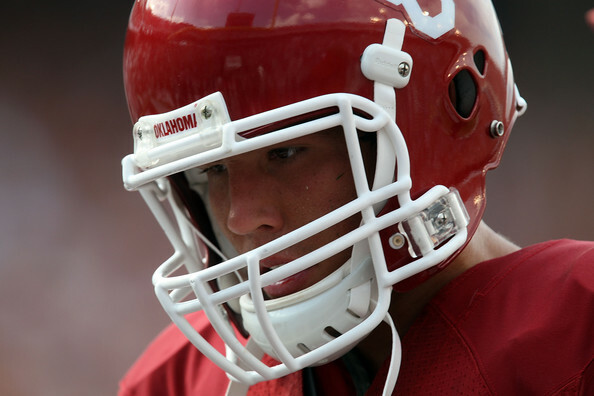 Former Oklahoma quarterback Sam Bradford is out for the 2014 season after suffering a torn ACL in his left knee according to ESPN's Chris Mortensen. St. Louis is expected announce Bradford's injury Sunday afternoon. Is Sam Bradford's professional football career in jeopardy?